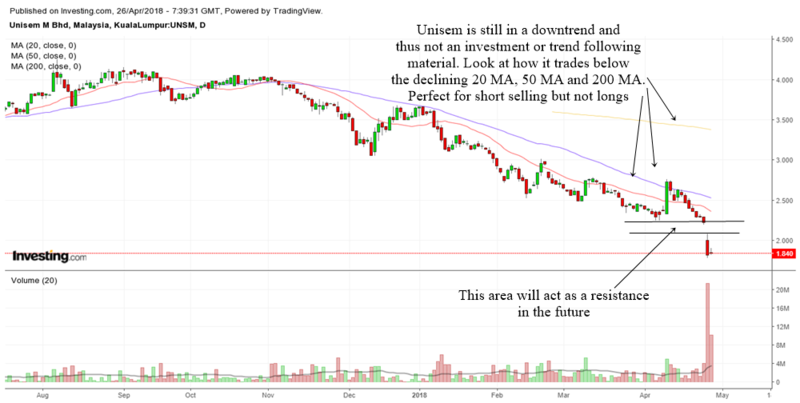 A technical look at the stock price of Unisem. What is its trend and where it is likely to go in the future. 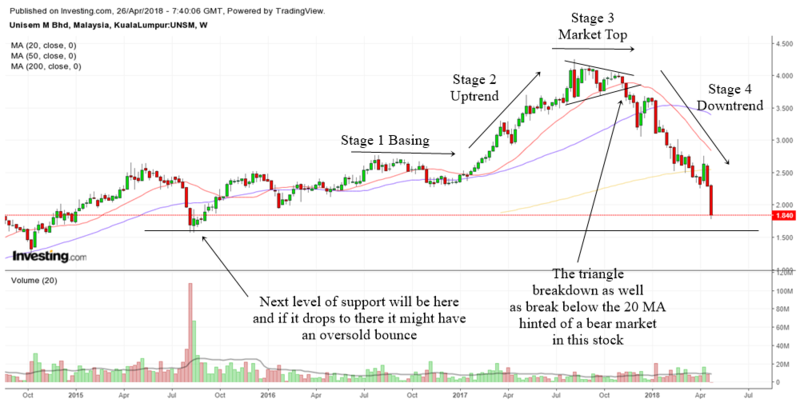 Both the daily chart and weekly chart of Unisem tells us that this stock's glory days are over. It is still in a bearish downtrend and therefore can be extremely dangerous to bottom fish.